Looking for the perfect way to reward your employees? Not sure where to go or what to buy for a birthday or holiday gift? Visit the Information Center of Corning to purchase a Gift Card, redeemable at any of our participating businesses (see list below). Gift Cards may be purchased in denominations ranging from $5-$500. For additional information, please contact the Information Center of Corning at info@CorningNY.com or call 1-866-463-6264. For more information on how to be a participating business, please contact Andrew Schultz at alschultz@corningny.com. 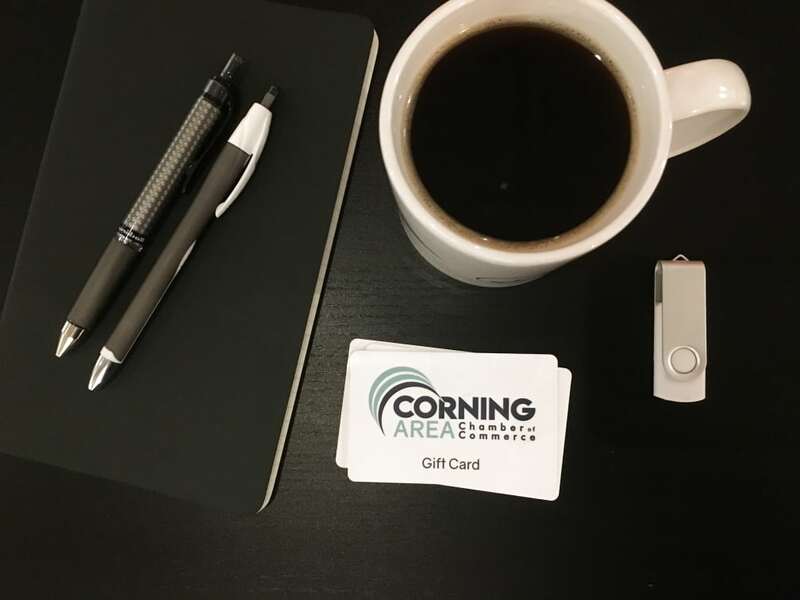 Note: Gift Cards with the old Corning Area Chamber of Commerce logo are still accepted at all participating locations.